They are just waiting for you!! I love deviled eggs. They are so southern. They are right up there with fried chicken, pimento cheese, biscuits, and potato salad. Deviled eggs are just something that you take to a family reunion, to your aunt’s at Thanksgiving, or to a family picnic. They are easy to make, but so many people don’t know how to cook eggs. And that could be a big problem in this case! So how do you prepare this almost perfect food wrapped in a shell. Well, first you do not BOIL eggs. 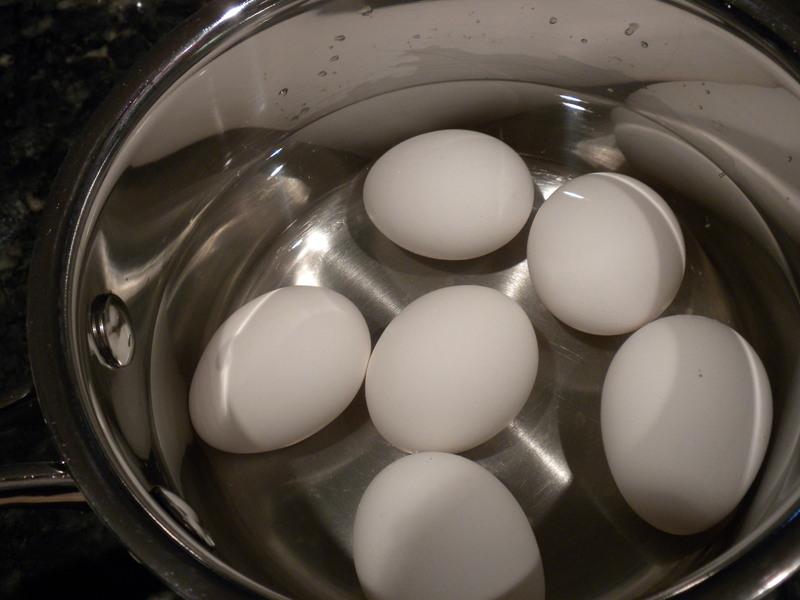 Eggs are either soft-cooked or hard-cooked in water. Never, ever boiled. Have you ever been to an Easter egg hunt where they used real eggs and you cracked into one and the yolk was green. That’s what happens when you boil eggs. A chemical reaction takes place inside the shell that turns the yolk green. No one wants green eggs. Unless of course you are Dr. Seuss. I used large eggs here. You can use extra-large eggs, but will take a few more minutes to cook. Don’t use eggs that you just purchased. Fresh eggs are very hard to peel. They don’ t have a big air space therefore it is hard to remove the shell. Cover them with cool water not hot water which will affect the cooking time. I usually add an extra egg in case one cracks, then you have an extra yolk to make a little more filling. Just do bring them to a boil and turn down to simmer. Set your timer for 15 minutes. You can take the saucepan off of the heat and set the timer for 30 minutes. Either method is good. Immediately plunge into cold water to stop the cooking process. Use ice cubes if needed. Crack the shell under running water. Start from the large end when removing the shell. It will be much easier because the air cell is located here. Split the eggs lengthwise. This will make a nicer presentation. 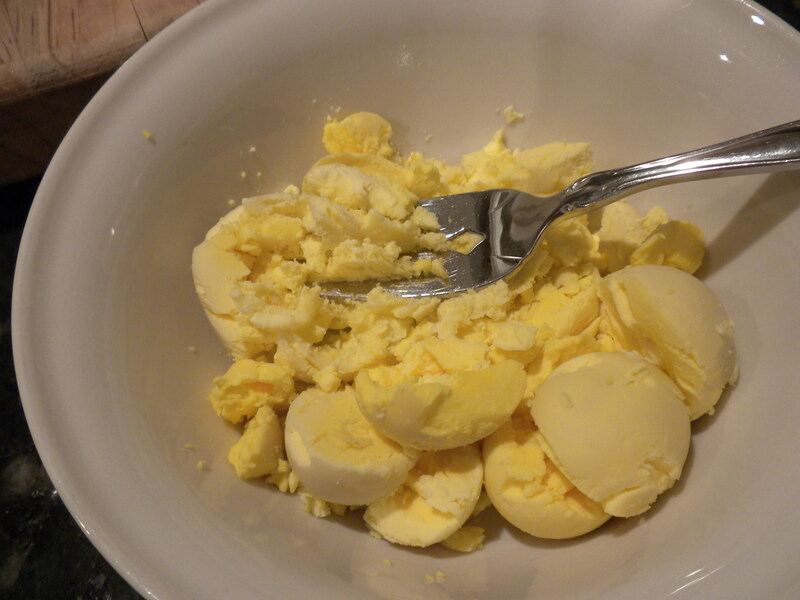 Place the yolk in a bowl. 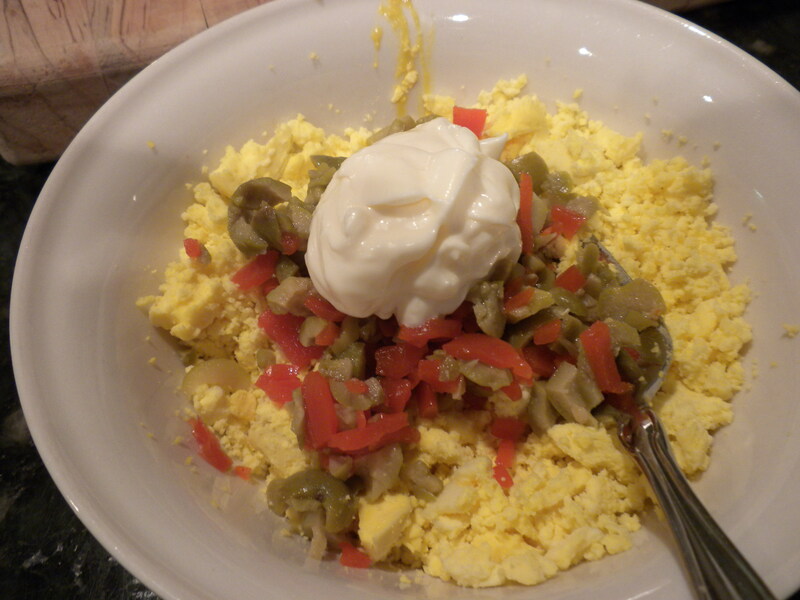 I like to add olives or dill relish to my eggs. This is just my personal preference. 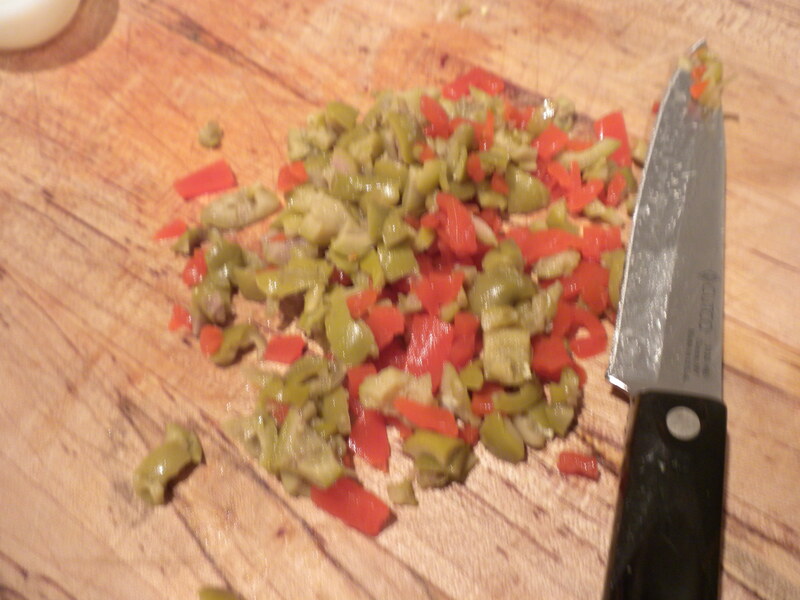 You may add sweet pickles or horseradish or whatever you like to flavor them. Be really careful when adding mayonnaise to the yolks. Just a little will go a long way. You can always add more but you cannot take out too much. This mixture will not work if it is too thin. Ready to put on plate! This is it! So easy and so good! At my house half of these are gone before I can put them on a plate. Make sure that you make extras. You will need them I promise. I dont usually eat these, or the inside part anyways, but everyone in my family love them. Especially my brother. Ill have to make these for him. all though the time i put into them may not be worth it, he’ll eat them all up before i even get done putting them on the plate! i love these things! : ) Im going to make them one day. 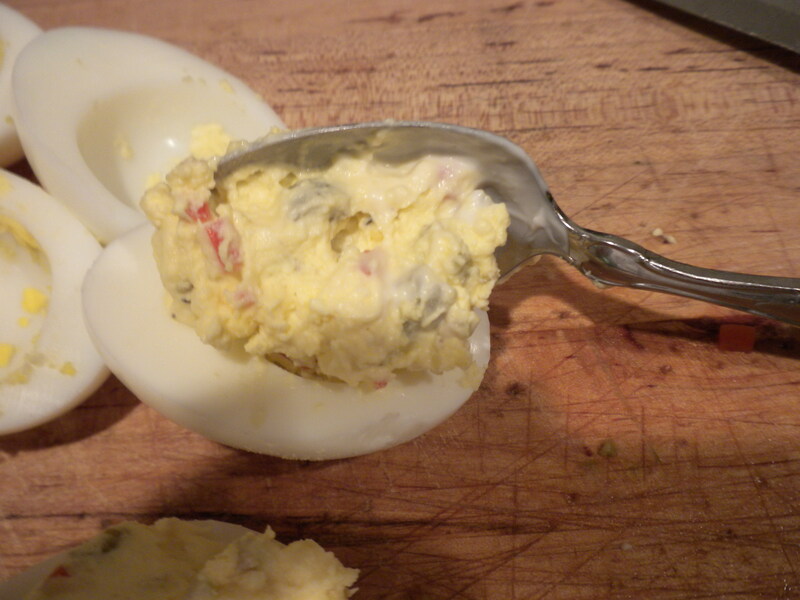 The devil eggs look really good, but i never had deviled eggs before. 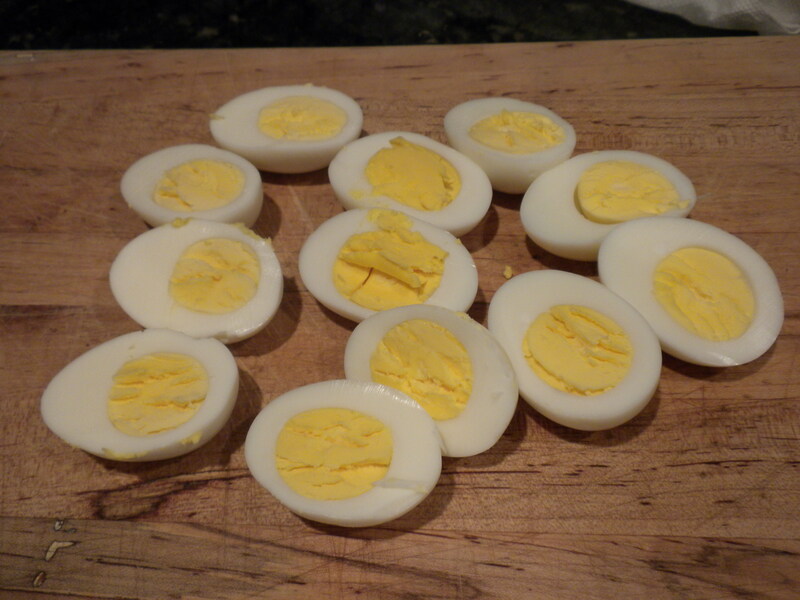 I’m not a big fan of deviled eggs, or eggs at all. But these actually looked really appetizing. I think it was the olives that you put in there! 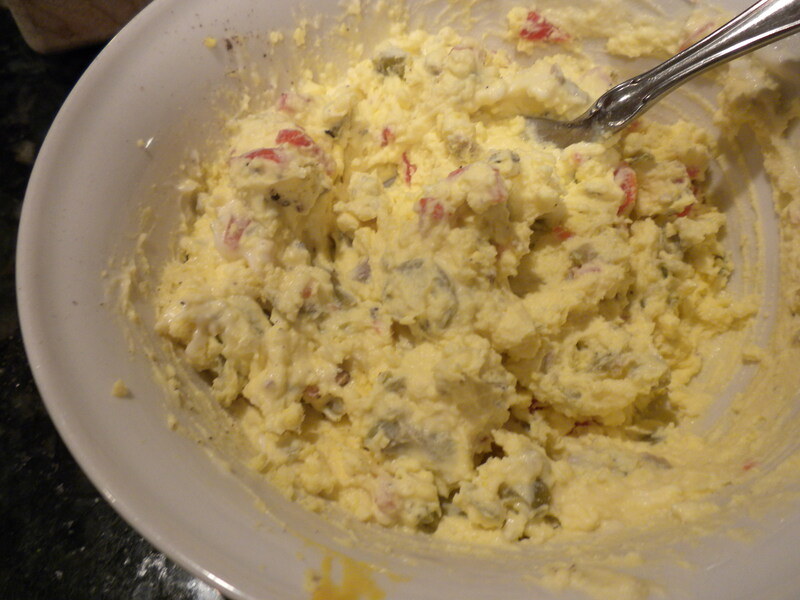 looks so good… deviled eggs are the bomb… but i never tried deviled eggs like this. i wanna try it so bad. i bet it tastes awsome. 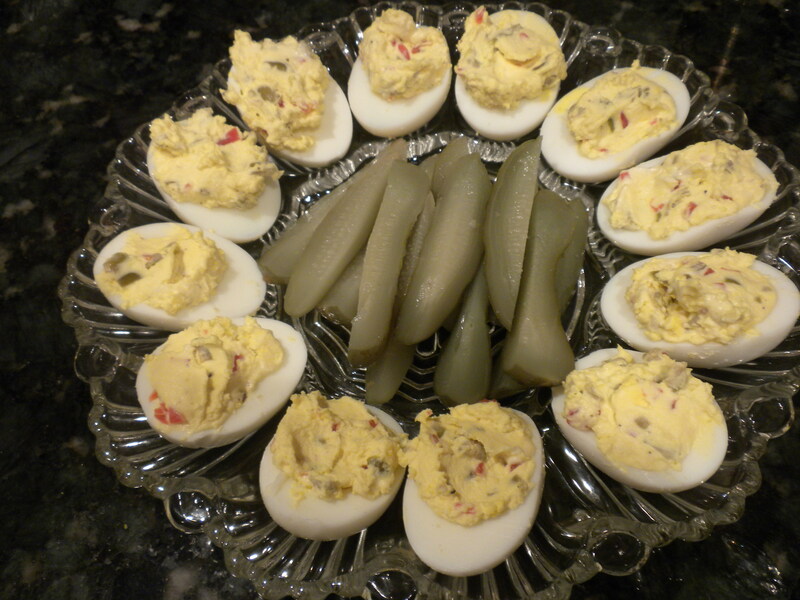 I don’t really like deviled eggs, but I think adding sweet pickles to it would make them a lot better! Never tried them but i will sometime this week. Good tip on the Mayonnaise, but do you really have to use it? I’m not a big fan of it. 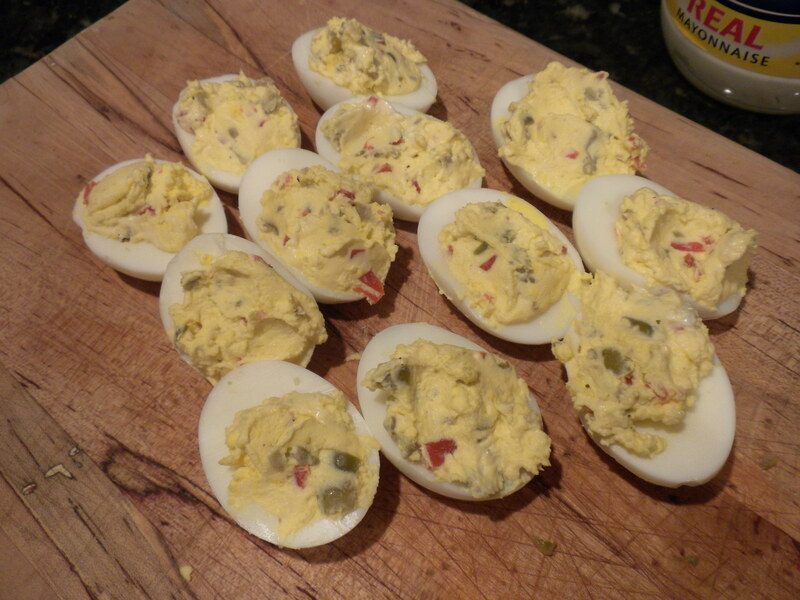 I have never had deviled eggs but these look yummy! 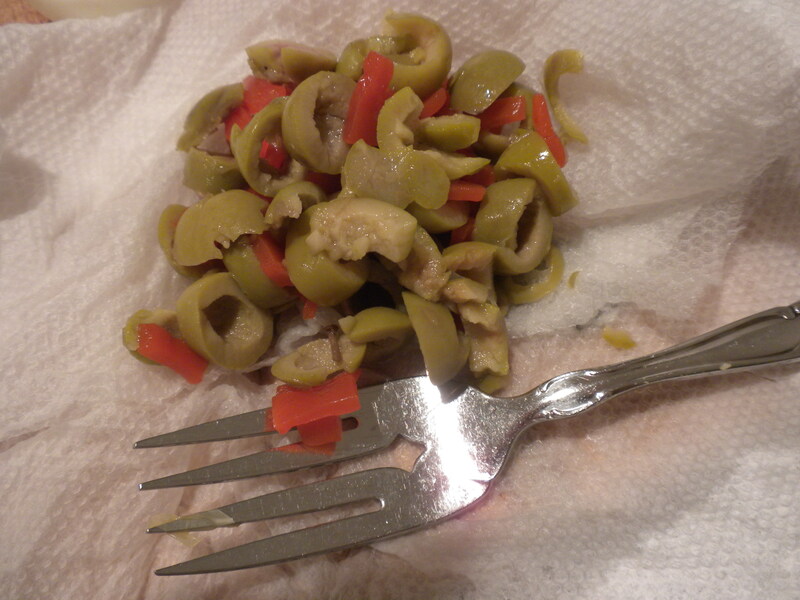 theses look good i didnt know you put olives in them. O these look great i love making these:). I love Deviled Eggs! Especially during the Holiday Season!! My mom make some mean deviled eggs every Christmas. My mom adds a lot of paprika though. I never eat the yellow part, but i LOVE the egg white. I’m not really a fan of deviled eggs, but my family is. My aunt makes these all the time, I will have to tell her about this. We love making these for the holidays. My mom’s not a great cook, and my nana usually does the cooking, but this is something she can make haha. And she always lets my younger siblings help. Always fun for all of us and super good. i never thought of putting olives in it! i’m not a big fan of deviled eggs. but these look pretty good. 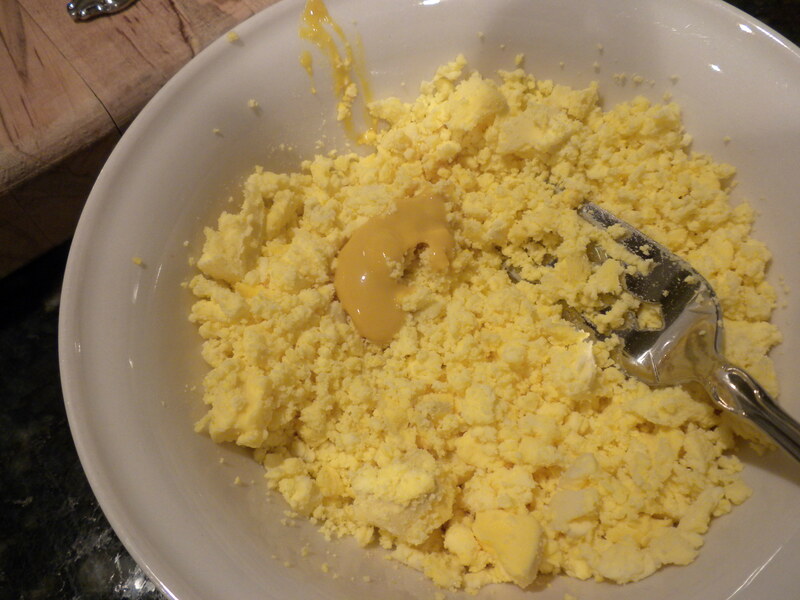 im not a big fan of eggs unless they are scrambled!! but these look easy to make..
my aunt calls these ANGLE eggs! Not a big fan of these but looks intresting! I can hardly stand eggs. But after reading this, me and my cousin decided that we were going to make some of our own the other night. Everyone in my family always eats these first on Thanksgiving and Christmas. They are so good and look yummy. omg it loocks so good !